Ten years ago, one piece of conference content ruled all the rest. It contained the schedule, meal information, organizer contacts, and maps. And it was made of paper. It was, of course, the conference program. Today, apps have all but taken over where the stapled packets left off. They’re nearly indispensable ingredients in a successful conference. So where does an event organizer begin in creating one for a conference? We’ll be your guide. Event apps earned unexpected spotlight in recent months, thanks to Apple’s since-retracted threats to their livelihood. But the key takeaway from the tug-of-war was a revelation that the vast majority of event apps are created by industry-specific developers from templates. The good news is that you don’t have to recreate the wheel–or fork out tens of thousands of dollars–to put a robust app in the hands of your guests. The flip side is that having an original looking app requires some customization. Here are a few of the most popular event app producers in the market today. EventMobi has one of the most robust user interfaces for event planners. Almost as straightforward as WordPress, the plug-and-play system allows planners not developers to customize their apps and add or remove widgets without sending an urgent email to an engineer in another state. Pathable isn’t as visually engaging as other options, but their focus is broader than the typical event app. “More than mobile” is their calling card, and their portfolio proves it. 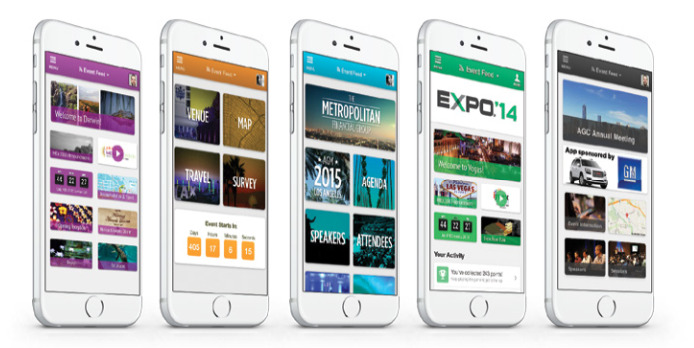 iPad apps and desktop interfaces give attendees more options than just the trusty iPhone. As a result, it’s a great option for older crowds or those without access to modern technology. Zerista has hands-down one of the most beautiful event app portfolios we’ve seen. Their welcome screens alone are more akin to art gallery posters, presenting attendees with a much more custom look than some other companies offer. Even better, their team has decades of experience in the event industry, so their tools are steeped in insight. 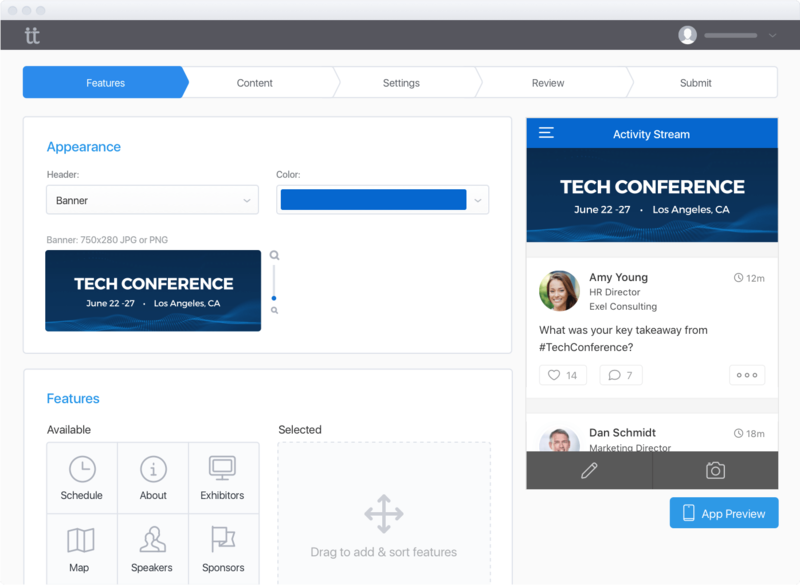 In addition to conferences, Whova also features tools specifically designed for Expos, is available on or offline, and allows document sharing for slides and handouts. TapCrowd’s homepage features an intriguing value proposition: “Mobile Apps for High-Stake Events.” They’ve positioned themselves as the app solution for event planners who can’t afford to lose track of a single attendee, a piece of data, or moment of satisfaction. 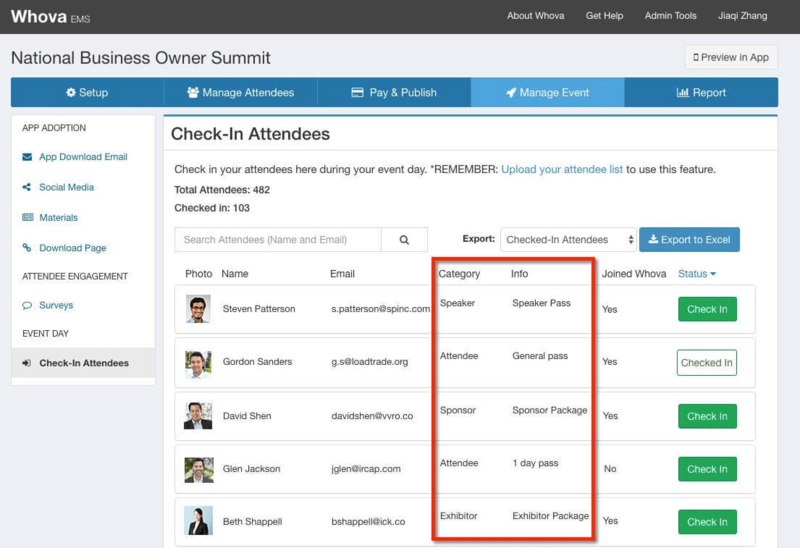 Attendify’s sweet spot is the attendee relationship, offering tools that help guests connect with each other. 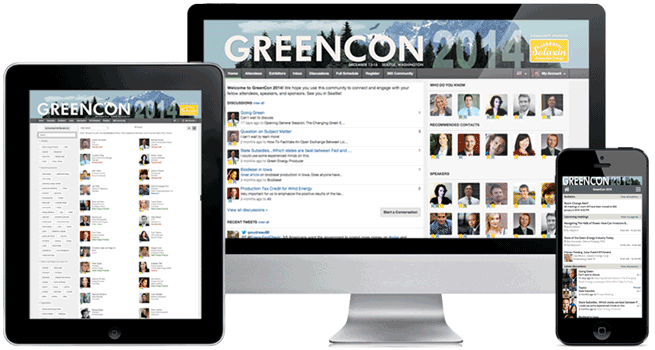 Their social media tools empower guests to quickly share feedback and insights while reviewing profiles of their fellow conference-goers. 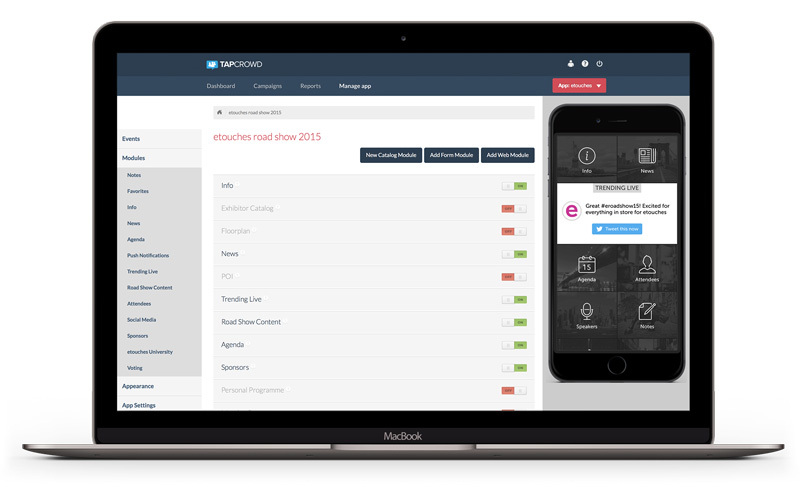 Scheduling, exhibitor tools, and maps are (of course) featured as well. “Intuitive.” “On brand.” These are the guideposts of Eventbase’s offerings, an app firm that also features a fun “game” option that awards attendees with points for various actions. Who said conferences can’t be all fun and games?